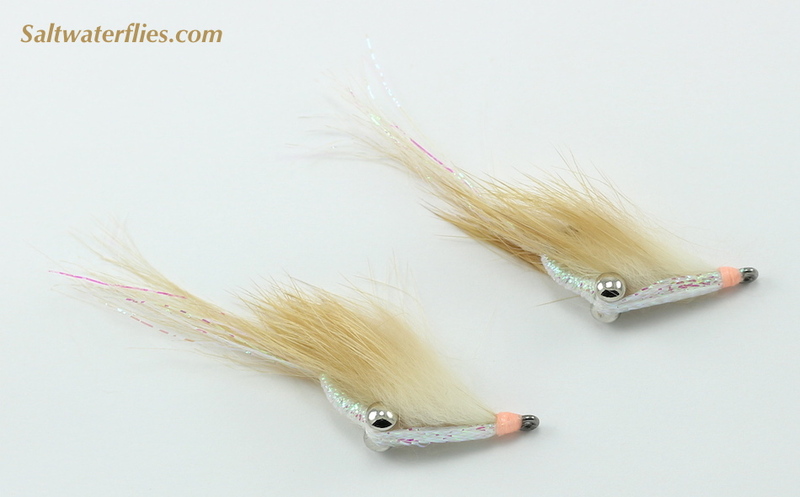 The Simram is a classic pattern for bonefishing just about anywhere in the world, and this fly has easily risen to become one of the Top Ten flies that we take with us on every bonefish trip. The ingenious design of this fly helps the fly fish reliably hook point up, and gives it a tantalizing wiggling action when retrieved. Soft rabbit fur adds movement to entice spooky bones! The "brass eye" version is killer for deeper water flats - if you'll be bonefishing from a boat, you should definitely have a handful of these in your box. 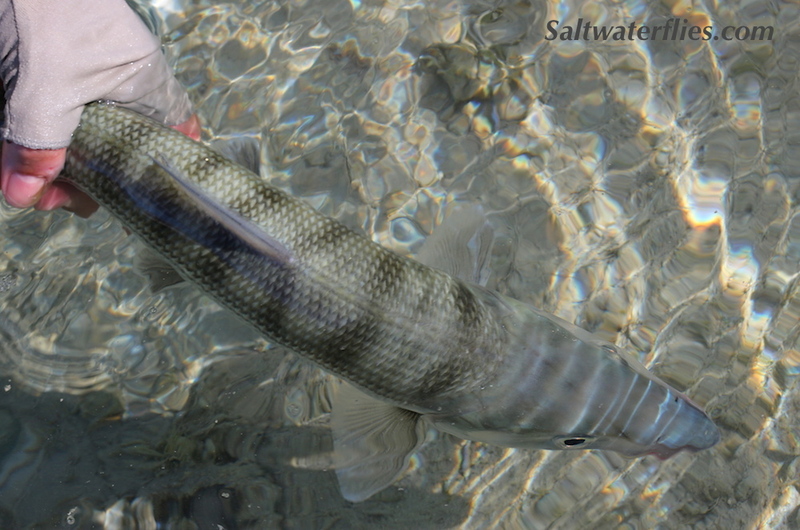 The "bead chain" eye version is more appropriate for shallower water and wade fishing, and is just as effective on bonefish as the heavier brass eye version. $4.99/ea. 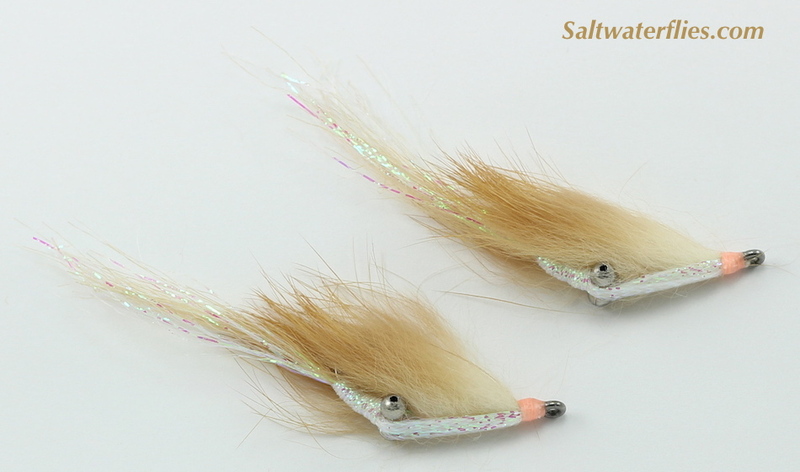 These Simram Bonefish flies are approximately 2 1/2 inches long (about 6.5 cm). Tied in the USA. Similar flies: The Gotcha.